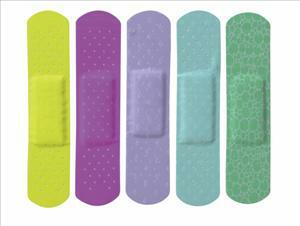 A bright assortment of colorful bandages. Non-adherent pad. Latex-free.